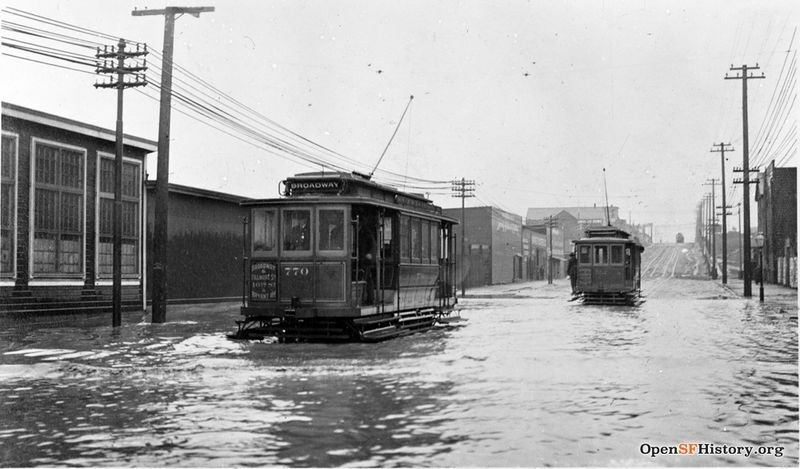 In 1905 streetcars struggle to pass through flooded intersection of 16th and Folsom. To the east the 16th Street hill goes up from Harrison to Bryant. Alongside this same block, from 1986-1995 resided the infamous underground music space, Komotion International. 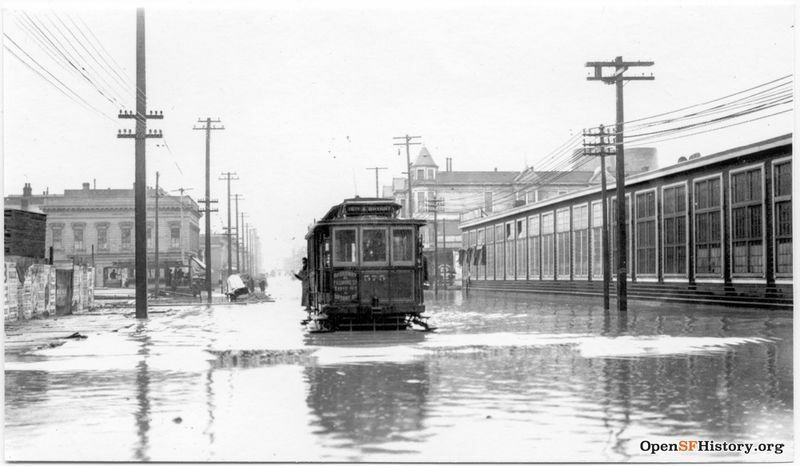 16th and Shotwell, c. 1904, looking west towards South Van Ness (then Howard). 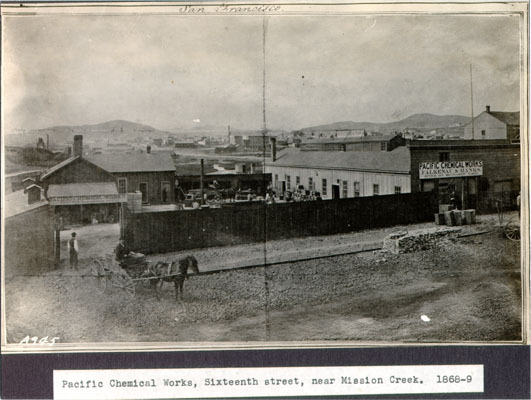 Pacific Chemical Works at 16th near Mission Creek in 1868-69, was probably very near the same location as the photo below. 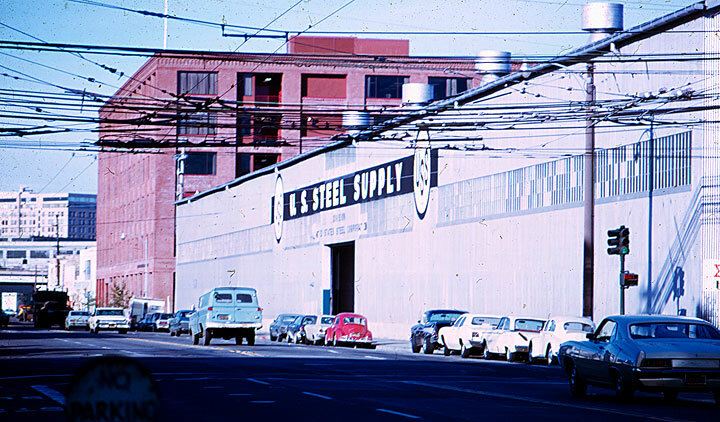 U.S. Steel building at 16th and Folsom, 1960s, later converted to a MUNI barn.